Usborne Books & More is a company that provides quality books that are not only fun to read but are educational too! With books for children of all ages starting with board books for babies and toddlers, interactive books for toddlers and preschoolers and moving on through grade levels all the way to Chapter books for high schoolers, Usborne Books will definitely get the imaginations moving while the pages are turning. When you open an Usborne book with your child you are opening so much more than just words, you are opening up their imagination and helping them explore the world around them through the discovery of stories. Usborne carries fiction and non-fiction titles and many award-winning titles with nearly 2000 to choose from in a variety of subjects. Independent Usborne Books & More Consultant Linda Carlblom sent me in this adorable book for inclusion in this year’s Diva Holiday Gift Guide. 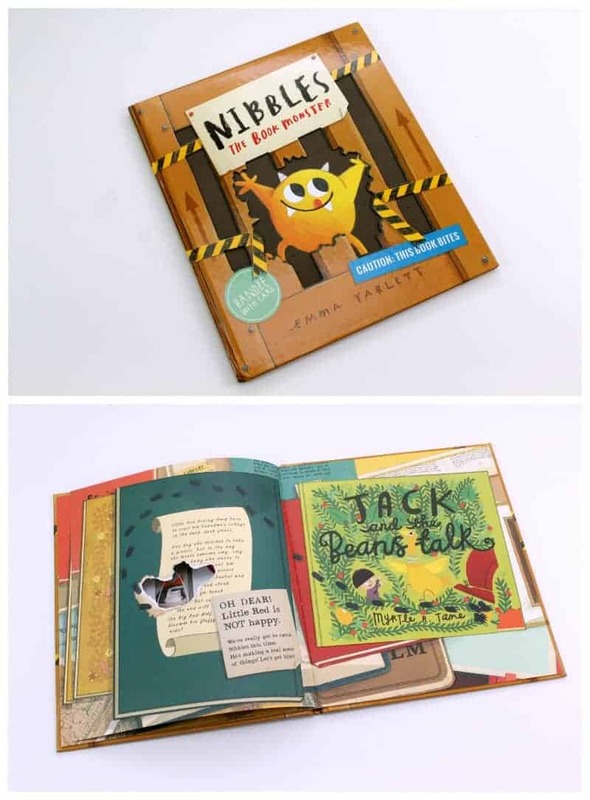 Nibbles: The Book Monster is a children’s picture book that will have you and your children laughing from the very first page. Nibbles is on the loose and is chomping his way through all of your favorite stories. The artwork is beautiful and will keep kids engaged and learning about new stories on every page. You can shop Linda’s website to browse through thousands of titles you can order right online. When you gather your friends for an Usborne Books & More Party you are opening the world of reading to others and adding to your library by using your Hostess Rewards. If you have a passion for children and learning, consider joining Linda’s team and growing a business sharing these unique and educational books with others. Check out Linda’s website to learn all about how you can get involved with Usborne Books & More!